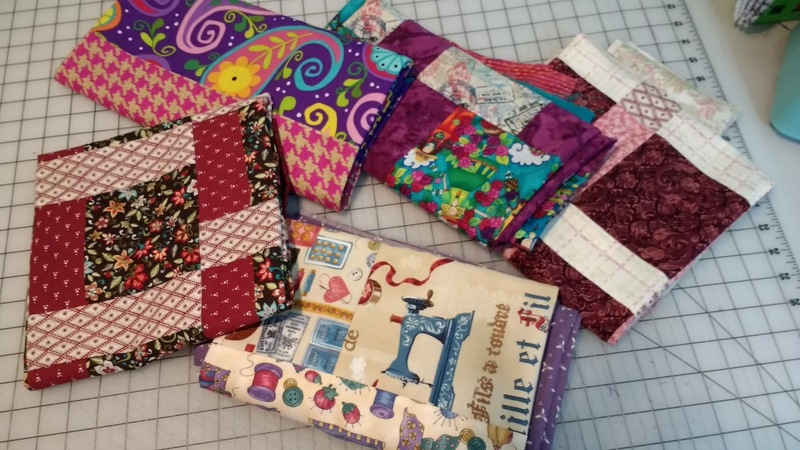 Last year I cut a ton of mismatched fabric about fat quarter size into quilt kits to take to retreat, I just wanted to cull my stash of the fabrics that I either didn't like or didn't have enough of to be useful. 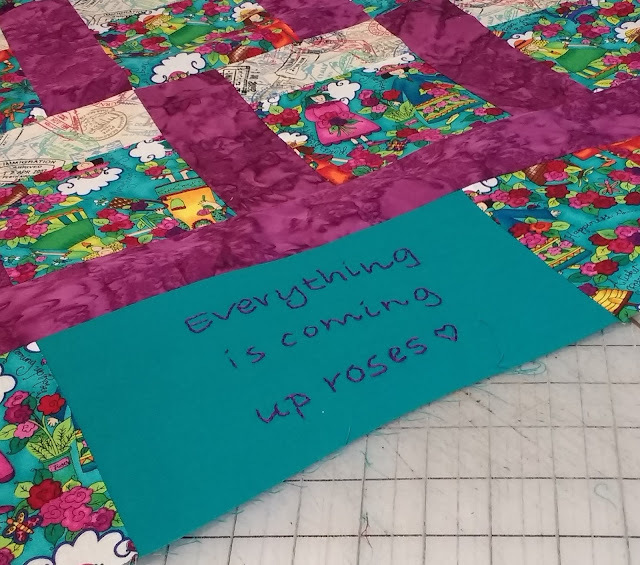 This week I am pulling yardage from my stash to add borders to them. 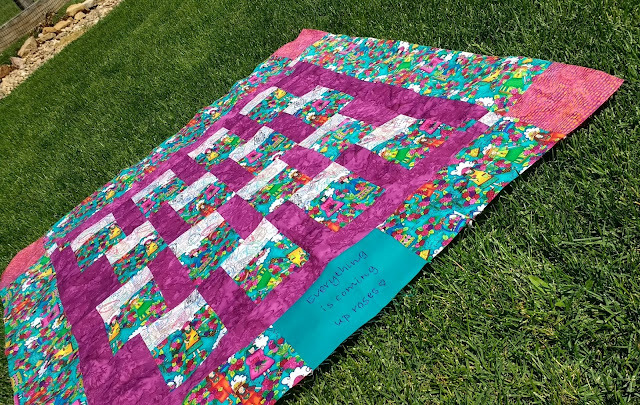 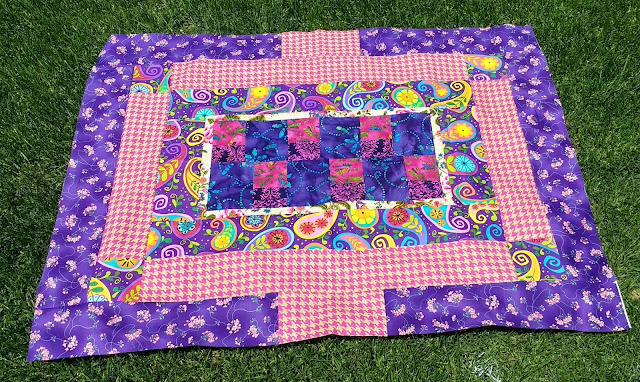 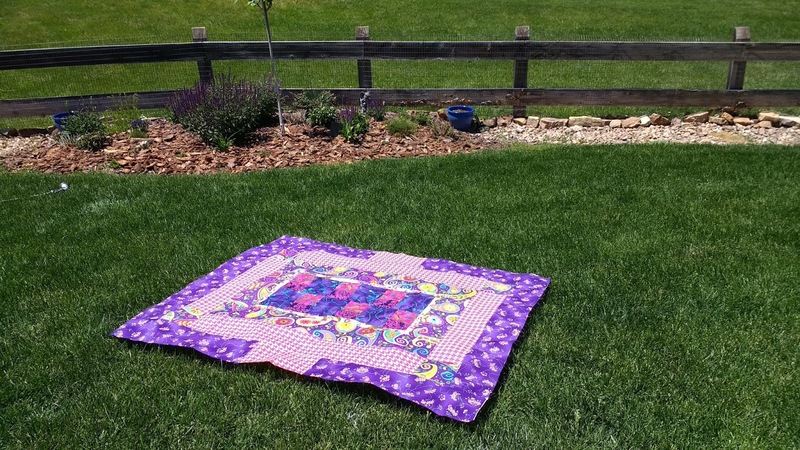 The patchwork center of this next one was so small I almost made a table runner, but as I added borders I decided I loved the fabric combos and just added extra borders to make it a lap quilt.